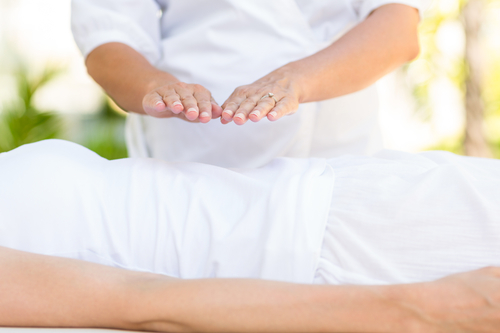 Reiki The therapeutic practice of Reiki supports your innate ability to heal and balances the energy centers in the body to provide healing on a physical, mental and emotional level. Craniosacral uses the palpation of the craniosacral rhythm to locate restrictions in the system and release them based on a sequence of sensitive methods. The basic method involves coaxing the craniosacral system to find its own way back to regular functioning. Acupuncture hair-thin stainless steel, single-use needles are inserted into the skin in order to activate different acupuncture points and channels on the body. Treatments generally take 45-60 minutes. Massage Regular massages help your body maintain its relaxed state and your muscles to remain loose even during times of physical and mental stress. Natural Detox Body Wraps and organic scrubs which release toxins and excess body fluids through the skin. Over two decades ago, when I became a licensed massage therapist, I knew I had to go deeper in my understanding of the body, and how it works on an energetic level. So in 1994 I began my training in Reiki Therapy at the Center of Being, with Reiki Master Steven Thayer, author of "The Angel Aerial" and his associate Reiki Master Julia Lawson, and by 1997 I became a Master Reiki Therapist. Since 1995, I've completed approximately 10,000 client hours in therapeutic training and private practice. I also work in association with Dr. Brawer, a Rheumatologist and Associate Professor of Medicine at Robert Wood Johnson Hospital in New Brunswick, NJ. After practicing for over a decade, in 2007 I expanded my approach by getting a Craniosacral Certification from The Upledger Institute. My therapeutic approach is a combination of Reiki and Craniosacral Therapy. "During the past 10 years I have had the opportunity to work closely with Ms. Donna Viggiano Keeney, a health practitioner concentrating on the delivery of Reiki and Cranial therapy. Her expertise and ability to provide healing services to my patients has been an integral part of their continuing improvement. I highly recommend her consideration in any integrated medical delivery program where novel treatments are being considered for individual illnesses." "As a client of Donna's for Reiki treatments as well as her student for Reiki training, I highly recommend her for all things Reiki! She is very knowledgeable in her craft and it is evident in her confidence in working clients. After my sessions with her, my body and mind feel lighter and freer. I can't say enough about how therapeutic her sessions are."